The band formed in 2000 after two of the original members met on the internet and discovered that they attended the same university. At their formation with all their current members in 2003, the band’s name was Aqua Times, the correct spelling of their current name. No major releases came from the band during this period. The band renamed themselves to Aqua Timez in 2005. Their first release under this name was a mini-album which charted well on Oricon. In 2006, the group would go on to release their second mini-album with seven songs. Later in the same year, it was announced that they would provide the theme song to the movie version of the anime Bleach. The song, Beyond the Thousands of Nights (Sen no Yoru wo Koete) entered the Oricon singles chart with the 5th position and would go on to sell over 100,000 copies. Later that year, the full first album for the band was released. Kaze wo Atsumete was their first full length album and reached a peak position of 3rd on the Oricon charts. Since its release, the album has sold over 200,000 copies. Shiori, their third single, was used in commercials for a brand of beverage known as Mitsuya Cider. The following year in 2007 the band would return to Bleach. 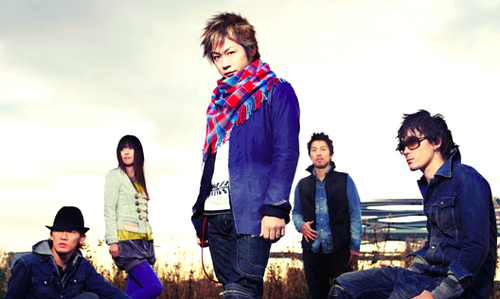 Their fourth single, Alones, was used as the 6th opening song for the anime, as well as another song, Velonica, which wold be sed as the 10th opening.